The North Star Grand Prix started with a short individual time trial where Bryan Lewis placed a team best 14th place, not far behind the stage winner Brandon McNulty (Rally Cycling) followed by an evening criterium. Stage 2 has been circled on the calendar for the team ever since we won here in 2016, with Justin Williams looking to repeat his performance again this year. The team’s sprint system was working perfectly until a late crash at the back of the field with two laps to go neutralized the race. The team did their best to gain control again in the shortened race after the restart, only to come agonizingly close to a win coming second behind Alfredo Rodriguez (Elevate-KHS). Stage 3 featured a road race in Cannon Falls, MN and looked like an opportunity for another of the team’s sprinters, Scott Law, however Scott would unfortunately crash mid race and have to pull out of the race. Orlando Garibay ended up with a solid top 10 after a strong race for the team despite losing Scott. The second stage of the race circled on our calendars was the Stage 4 Uptown Minneapolis Criterium. Again Justin won here in 2016 and was anxious to repeat that feat again this year. Stage 4 proved to be important to every jersey competition in the race, ensuring the finale would come down to a sprint. This allowed the team to hide until 6 laps to go; the team executed their lead out to perfection setting up Justin for the stage win under the lights. In stages 5 and 6 the team fought for every opportunity to take another stage win even until the end when with a lap remaining in the final stage in Stillwater, Orlando and Bryan launched a hail mary attack to try and bridge to the solo leader. It didn’t work in the end, but it certainly defined this team's spirit. From Great Britain to Italy, the Cylance Pro Cycling women were back at the races over the weekend at the UCI 1.1 race, the Giro del Trentino Alto Adige-Südtirol. Although the Giro de Trentino used to be a stage race, it has remained a one-day classic for the women since 2014. Known for its brutally steep finishing climb, it is always an exciting race to watch. Following a crash that forced Krista Doebel-Hickok out of the OVO Energy Tour, she was back on the starting line in Italy as motivated as ever. The team worked flawlessly for the American climber to deliver her to the bottom of the finishing gradient as rested as possible. Krista accelerated up the final climb to barely miss the podium in a tight 4th place finish. After Trentino, the women traveled to the Col D’Izoard to recon the La Course by Le Tour de France finish. The race will finish atop the famous mountain pass of the Hautes-Alps with a summit at 7,743 feet. Transitioning from the classic sprint finish on the Champs-Elysee, this year’s edition will definitely favor the climber. 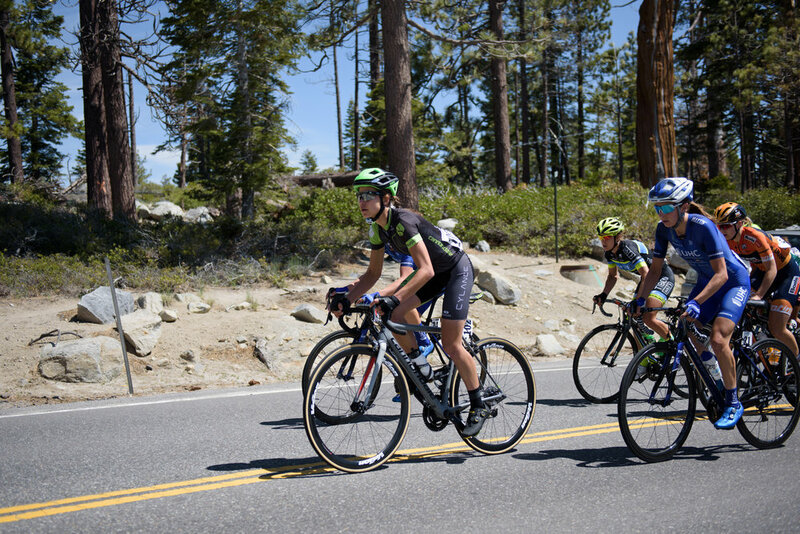 After this weekend’s national championships that take place all over the world from both teams, the Cylance Pro Cycling women’s team is in full preparation for the Giro Donne, the women’s Giro d’Italia. Get ready to cheer on the women to #bringthegreen as they fight for the maglia rosa.